I'm very excited to have been invited to show my work next weekend at the Wedding Affairs in Viennas Museumsquartier - 10. & 11. of November. I loved Anna & Hannes wedding - although it was the hottest day of the year, the atmosphere was just fabulous, even Annas Australien part of the family made it to the celebration! Everybody was so very happy for these two, who had been a couple for almost ten years before they tied the knot. Anna wore a dress that had been passed on in the family, but she made it her own with a cute pink belt that matched their wedding colour. She was such a beautiful and sparkling bride, you could just see how happy she was - I loved that! 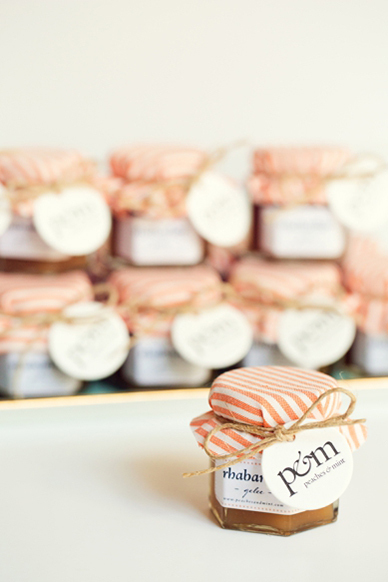 ...some lovely homemade jam for clients who come visit me at the Wedding Affairs in Viennas Museumsquartier this weekend! See you there! ... a few impressions for those who missed it! Saturday 12 o'clock at Museumsquartier Vienna kick off for the Wedding Affairs 2012 - Christine my booth partner, creator & backing goddess ofThe Cake Shop and I are all ready and set up! We hoped but didn't expect so many people to come, on Saturday alone there were almost 500 guests! ...these two are one of my favorite couples this year - Valerie and Stephans wedding was really a family affair - very uncomplicated & lot's of fun! 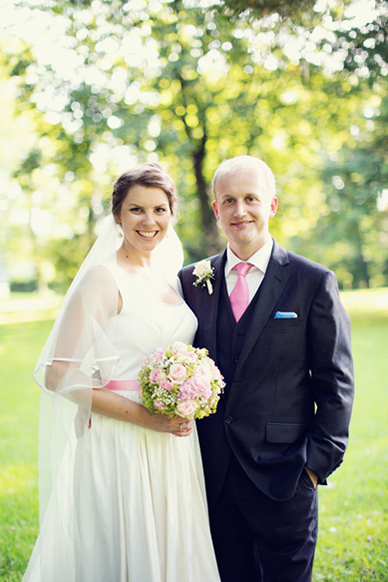 ...Magdalena & Mark didn't get a snowy white winter wedding, but that didn't ruin the great atmosphere at all! I loved Christina & Paul's autumn-inspired wedding, they've been together for a really long time but still come across so much in love with each other, that one could get jealous! Thank you Hochzeitswahn for making this the loveliest monday morning I've had in weeks! Karolina, herself a photographer, had searched for a long time for her wedding photographer before they came across my work and finally decided to book me. ...I must be the luckiest wedding photgrapher, ain't I? Here's a little sneak preview of my Thailand experience for you. Loved Isabella & Alex style and taste! Such a great kick-off for an exciting wedding season, couldn't have hoped for a better one! Isn't her peony bouquet just STUNNING?! Here are some snippets of Jen Huangs workshop I took when I was in NY last month. Loved spending the day with Jakob Jantscher & his beautiful Andrada, who couldn't have been more relaxed and down to earth! So, so happy about this fabulous day by the lake and all the talented peeps I get to work with to shake of wedding photography's old and dusted image! Watch us behind the scenes of our nautical inspiration shoot - video by the oh so talented Ben & Jakob of Sequence Five!